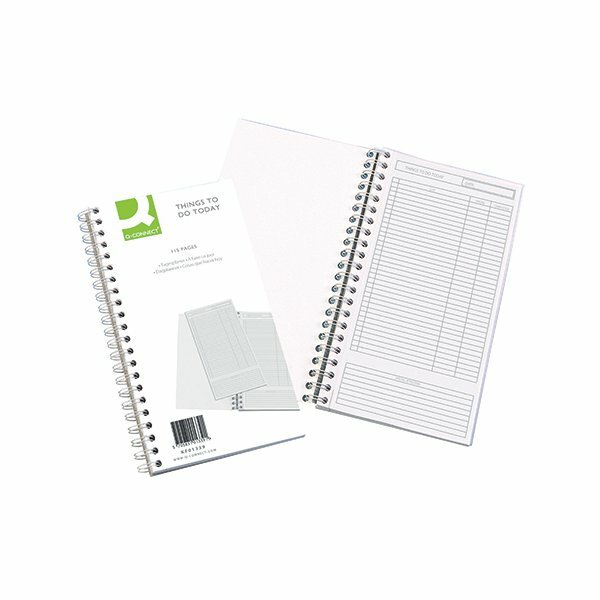 This Q-Connect Things To Do Today Book provides a perfect way to organise up to 20 tasks into an easily achieved list, with an additional column for ticking your task when completed. Featuring 115 perforated sheets that allow for easy removal, this book is ideal for use in the office or the workplace. With a daily planner page, this book helps to keep you organised. This pack contains 1 book measuring 150 x 280mm.